Saying that the Apple App Store offers a huge variety of games would be a total understatement, on a daily basis there are literally thousands of new gaming titles hitting the virtual shelves. This type of unprecedented situation results in numerous fantastic gaming titles being lost and buried under mountains of uninspired clones and soulless MMOs. Keeping the aforesaid in mind we sometimes require a spotlight to emphasise the developers and games that still keeps fighting the good fight, the games discussed below should assist in their cause. Lumino City is one of those games that are good enough to immediately pick up and start playing while setting aside any other games you might be playing at the moment. This game is one of the most creative and original mobile videogames to hit the Apple Store’s shelves this year. It has, for the greater good of mobile iOS gamers everywhere, received a remodelling from its development team at State of Play. The BAFTA acclaimed PC launched original puzzler is now made available on iOS mobile devices. Out of all the various aspects that makes this game great the single one that stands out the most is the fact that each individual level is a completely original piece of art handcrafted out of paper, miniature lights, cardboard, and motors all added together to provide an already awe-inspiring game with an extra layer of marvel. It is available from the Apple Store at £3.99. Beneath the Lighthouse, presents an already puzzle filled world with yet another puzzler; however, this game is for the one above is an absolute must to experience. The game presents players with beautiful, skilfully constructed graphics and artwork done justice by a smooth playing gaming engine and generates incredible passion during gameplay. The developers, Nitrome, have historically proven that their team finds it impossible to create bad games. Players will find great pride and frustration in guiding the main gaming character, which happens to be a ball wearing a hat, as it progresses through every level by twisting and manipulating his surroundings. The innovative gaming controls will engage, puzzle, and punish both old and new fans, so best to get practising those stress relieving breathing exercises before starting gameplay. With BlackBerry devices falling from grace in recent times, the iPhone has become a welcome replacement to its business-oriented users. With advance and a greater general acceptance of electronic media in the business world iOS devices have become an absolutely indispensable professional accessory. Developers having realised a golden opportunity has availed itself speedily created a new generation of highly competent and user-friendly apps to fill the then existent gap and have since been refined to meet all current possible professional needs in the electronic arena. The apps below represent the best in their class and either offer a viable improved alternative to the standard iOS fare, or provide new functionality to any professional iOS user. Microsoft Outlook Marvel app is available for free, and it combines all your contacts, sort and prioritise calendars, and email into one easy to manage and navigate app. It will also sort and prioritise messages for its users and then filter the high priority messages into a separate tab, while leaving the balance to deal with at your leisure. The calendar functionality automatically schedules meetings according to filters set by its user, it will also set automatic reminders for the above meetings, and synchronise emails, meetings, and tasks accordingly across all your accounts and devices it is installed on. For those that was some reason prefer not to use Outlook there exists another equally great alternative, namely Inbox from Google. CamScanner Pro offers users the capacity to transform their phones and turn it into a mobile document scanner that allows you to scan and save pictures and documents on the fly as either PDFs or image files. Users will benefit from the ability to organise their files commuting or waiting on an appointment, and instantly mail them to colleagues or clients as the need arises. It also features the capacity to link up with on-line storage units such as Box, Dropbox, Google Drive for safekeeping and thereby synchronising across all your accounts and devices, quite handy in case of the loss of your mobile device. The app developed by INTSIG is available at £3.99 from the iStore. Anyone finding the app or interface not suitable are not compatible to the devices will be glad to hear of an equally brilliant alternative in Tiny Scanner Pro. One of the most common forms of burglary, theft, mischief occurs daily due to perpetrators stealing and abusing unsecured data stored on cell phones. This data needs to be secured in order for any user to continue enjoying relative peace of mind while living with all his personal & company financial banking data stored on their personal mobile devices along with a multitude of other potential problem causing issues. For any user to have confidence that his phone remains as safe and secure as possible a specialist security application need to be installed and properly set up. The apps listed below are definitely not the newest all the prettiest, because security apps should not be chosen because there are new, shiny, bright, or offer the best graphics in the business, they should be chosen on tested effectiveness and a proven record of accomplishment built up over a period. Avast represents one of the security and antivirus packages that have built up an enviable reputation by being voted the best of its kind in numerous respected mobile security publications. In addition, its test results proved it as one of the most effective version after version, year after year. It offers a comprehensive package that includes privacy advice, malware protection, antitheft tools, antivirus scanning, and a filter that will block undesired calls. The app even features a firewall effective on rooted devices and can be downloaded from Google Play. Lookout as an app is as old as smart phones themselves, it too has proven itself to be extremely reliable and effective, and have remained at the top of the game as one of the recognised best in the industry security applications. Its well-deserved reputation of excellence has been borne out by a multitude of tests performed over many years. It features a scanner to detect malware, viruses, spyware, and adware in its free version, with additional tools to ensure safe backups, browsing, as well as a function to remotely lock and wipe your device if stolen or lost, and is available on Google Play. Most Android devices arrive with a brilliant preloaded device-tracking feature accessible through the standard Android Device Manager. It is also the official Google phone tracking service and will assist you in locating your lost phone or mobile device. Users that cannot recover their devices will be able to erase all their data remotely, as well as reset their screen lock PIN. It will also work with all devices you choose to associate with your personal Google account. It appears that the developers at Apple may be busy with the creation of an iOS app solely purposed in assisting with troubleshooting issues on iPads and iPhones. 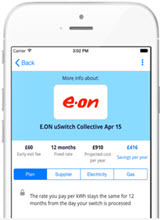 This latest news flash arrives from uSwitch Tech and shows screenshots that will enable iOS users to get their iKit items serviced quicker and with less hassle. The reveal is according to insider knowledge, confirmed by Sonny Dickson who has insight into the daily goings-on at Apple’s Infinite Loop HQ. According to the leaks liege, the app will require users to respond by answering basic questions regarding the device needing repair, Apple will then attempt to utilise the pertinent data supplied by the customer in order to facilitate a resolution to the problem with much greater speed, thereafter it will assist users to book the necessary service for their device. Users will then be able to send in their device for its service or just put a call through to Apple themselves. This process will offer Apple users a significantly more advanced service functionality then the current repairs aspect found in the Apple Store App. The images revealed an interesting aspect, which shows there may even be an option for a live on-line chat with the Apple support team. The under development app will alleviate iOS users from the mundane task of attempting to secure a reservation at their Genius Bar, which is at the moment frequently a near impossibility in some of the busier areas. This systematic procedure should also provide a greater degree of accuracy in preventing devices not needing repairs to enter into the system, instead of just allowing the user via the correct guidance procedure to repair the item themselves in the comfort of their own home. If successful this procedure would improve Apple’s rendering of services immeasurably, by saving the customer on making unnecessary trips to the iStore, prevent unnecessary phone calls, prevent a customer from bring without his phone for extended periods of time while in for an unnecessary service. For Apple it would improve the ability to render services by preventing unnecessary devices not needing technical repairs from ever entering their system and thereby speed up delivery on the lighter workload in the technical service department. iPhone and iPad users that face the pleasant & unpleasant prospect of planning an upcoming trip or family holiday need to take heed, Apple smart devices and the applications that turn them into useful tools have progressed at a rapid rate. Many apps currently feature web services able to assist you in planning your trip with minimal input required from you, and additionally keep your travel itinerary, flight details, hotel bookings, car rentals, and other documents neatly organised in one app. One of the most assistive features offered by the top end apps, firstly is to perform these actions with minimal input from your side. Secondly there is no more need to spend hours inputting relevant names, arrival, and departure times, collection and drop off times, book in and book out times, and tons of necessary but irritating document data that is part and parcel of international travel. TripCase will organise your trip for you automatically with very little input required from your side. Normally confirmation emails regarding travel details contain far too much irrelevant information you do not require during your trip, this app cut away all the unnecessary clutter, organises all the relevant details in a nicely set out timeline. It performs all these functions, by doing 95% of all the culling and collating work for you, and compiles a single itinerary that provides you with a clear chronologically ordered overview of the upcoming journey. The featured view includes all flight details even on multiple flight stopovers with live updates on delays and cancellations as well as alternative flights, hotel addresses and booking numbers and times, car rental reservations, and more. TripCase is available free from the App Store. Trip Splitter allows travellers journeying in groups to easily keep track of which person owes what, this makes it exceptionally easy to use by allowing users to quickly split their bills and continually monitor everyone’s financial responsibilities, expenditures, and contributions towards various trip items such as food, fuel, accommodation, and a vast number of other expenses. Its instant service could potentially save unpleasant arguments, while ensuring fellow travellers are always aware of how the group’s finances appear. Trip splitter is available at $1.99 from the App Store. November is nearing its end and the Western world has arrived at the 2015 holiday season. In keeping with the period this month saw a mass of new game and app launches and in the upcoming period until Christmas the avalanche of new releases will only pick up pace. This is the time to spoil yourself with as many excellent new game releases and updates, if only it was easy to sift the wheat from the chaff. To assist with that tedious chore the list below should be of some assistance. Cloud Chasers is available on Google play at $4.00 with zero in-app purchases, offers gamers a survival adventure that tells the story of a father and his young daughter who are attempting to improve the lives by reaching a better place to live. The character starts-off stuck in the desert where you will need to fend off baddies, while continuing find sustenance for your daughter and yourself. This game has consistently been described as beautiful, by all and sundry that spent a few hours at gameplay. The player mechanics a smooth and glitch free providing excellent control of your character manipulation and surroundings, take note the game is still early in its life and a few early bugs have been reported. Minecraft: Story Mode is now available on Google play at $4.99 and feature in app purchases. This release is the latest in the adventure series from Telltale Games and this release offers players one craft style blocky graphics, without the normal open world exploring that is the usual nature of this game. This release challenges players with a storyline to play through, and this voiced by the all-star cast that include Corey Feldman, Brian Posehn, Patton Oswalt, and a whole load of other actresses and actors. Telltale Games once again allow player decisions to affect other stages of the story, which provides a nice touch with multiple possible playthrough’s where each vary from the other. Minions Paradise available for free on Google play however, with in app purchases. The game was originally scheduled to be launched simultaneously with the latest Minions movie, and the failure to do so and accompanying one-month delay disappointed all their fans. This vision requires players to assist Minion Phil in building a Minion Paradise for his fellow Minions. With you being in control of the full scope of his construction works. The game offers a nicely done world builder gaming style with a few frustrating unnecessary in app purchases if you want to experience a game in full.